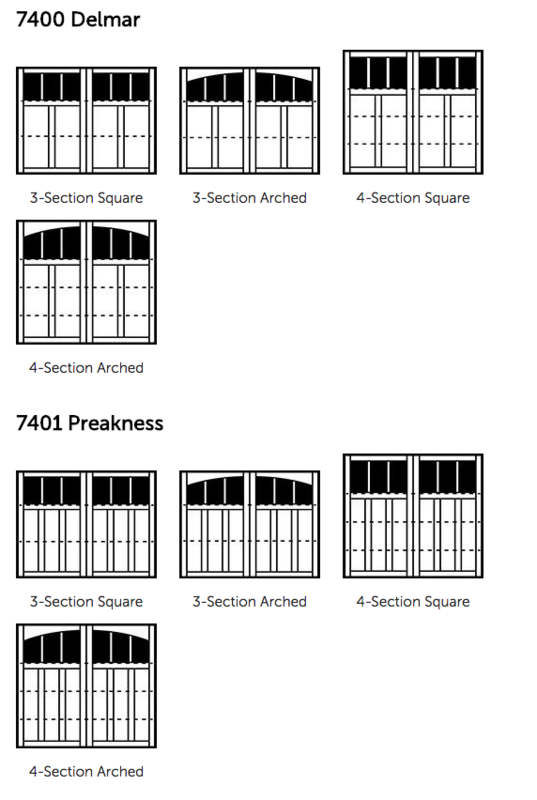 Wayne Dalton’s 7400 Series garage doors feature eight distinctive panel designs, each displaying the skilled craftsmanship of our woodworkers. 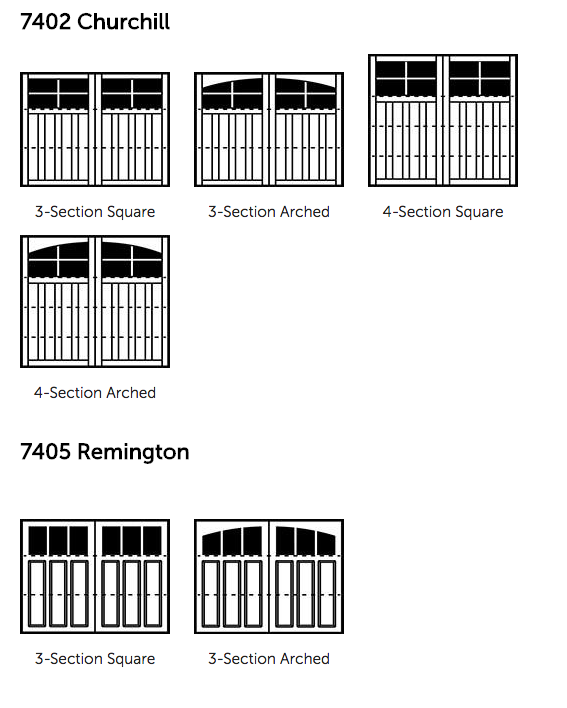 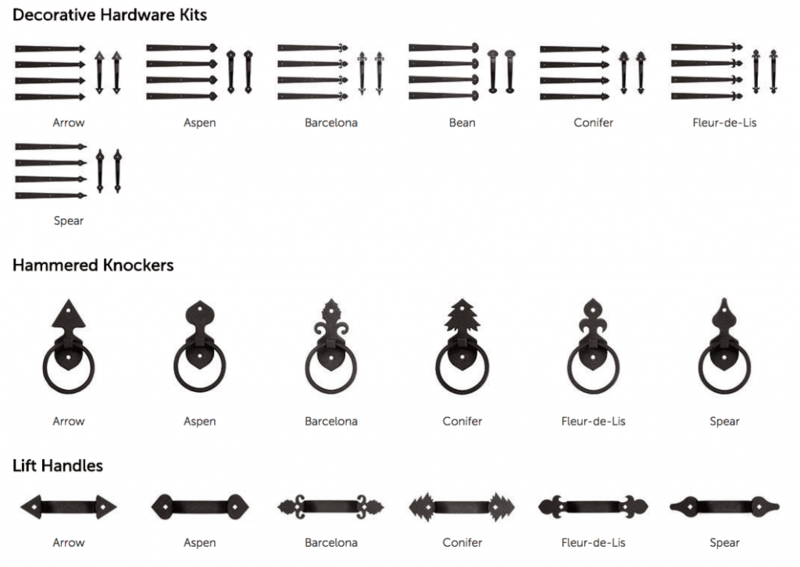 Choose from a multitude of facing options to create the exact garage door you desire or create your own custom door. 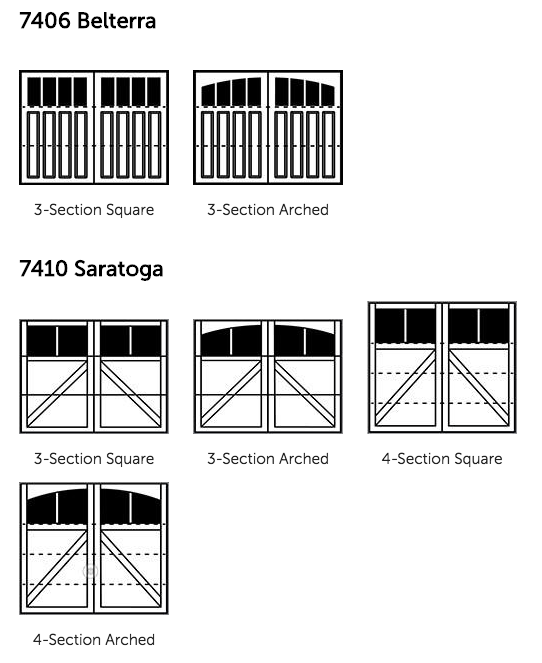 Wood Garage Doors in the 7400 Series combine the classic swing-open appearance and detailing of carriage house wood doors with the convenience of standard sectional garage doors. 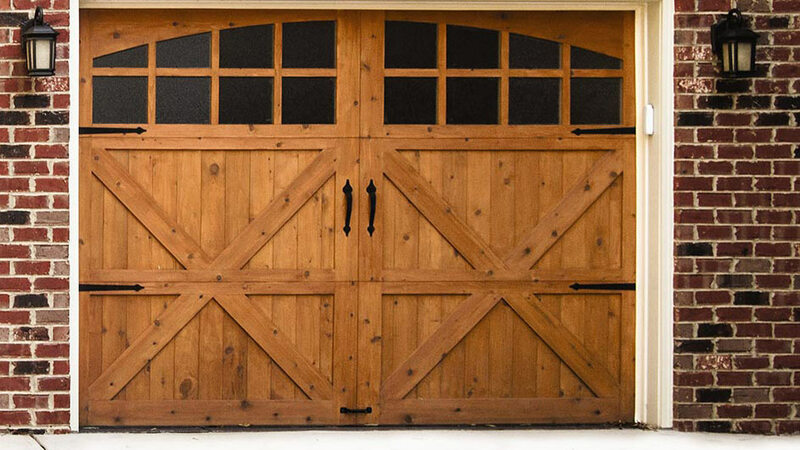 Our premium wood doors feature your choice of quality stain-grade or paint-grade woods such as Hemlock, Cedar, and Mahogany. 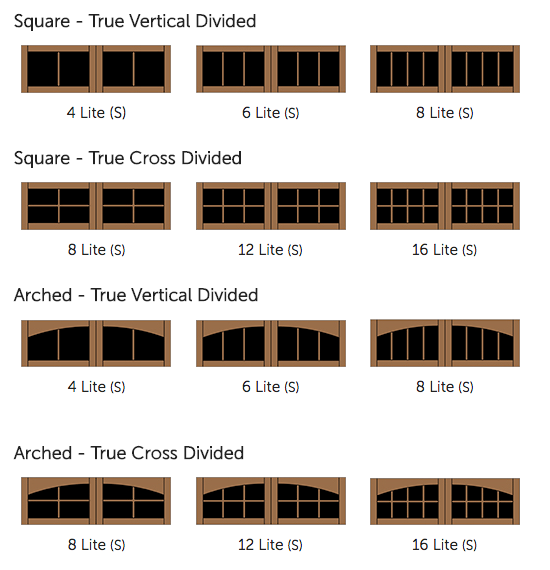 Overlay trim options are available in Hemlock, Spanish Cedar, Meranti Mahogany, Western Red Cedar, Knotty Cedar, African Mahogany and Medium Density Fiberboard (MDF). 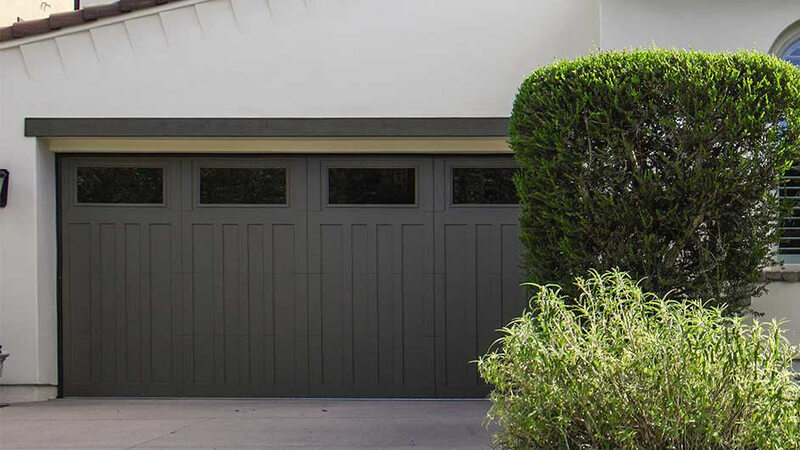 The T1-11 Plywood and MDO are paint grade wood, while Smooth Plywood, Rough Sawn Plywood, Hemlock, Western Red Cedar, Knotty Cedar and Mahogany are all stain grade woods. 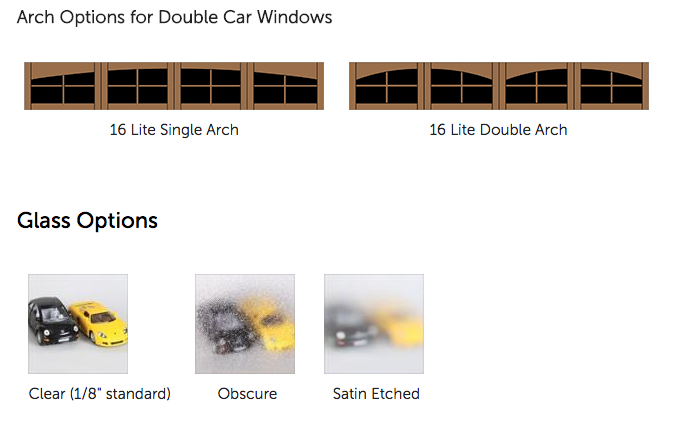 Double car windows are named by the number of window panes in the door. 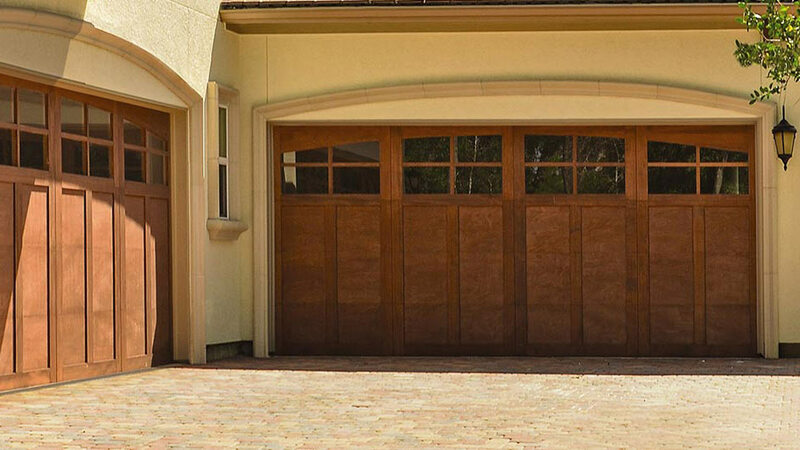 Example: 12 Lite Square for a single car door becomes 24 Lite Square for a double car door. 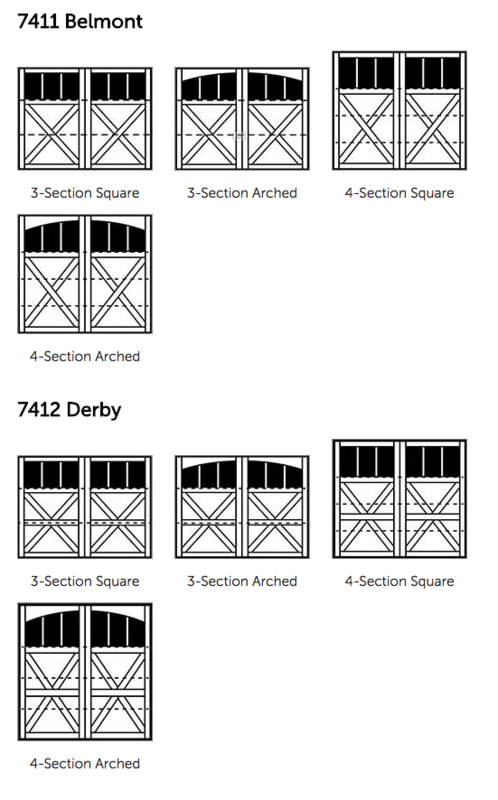 For arched windows on double car doors, you have the option of selecting a single arch or double arch.